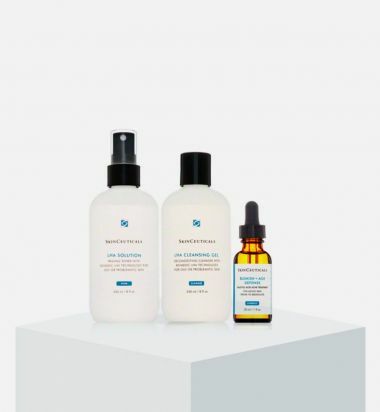 SkinCeuticals Adult Anti-Acne System reduces oil production and exfoliates the skin, which improves acne and diminishes wrinkles. Clinical results display a 39% decrease in sebum and a 28% improvement in the appearance of fine lines. Your Dry Skin Recovery Kit. 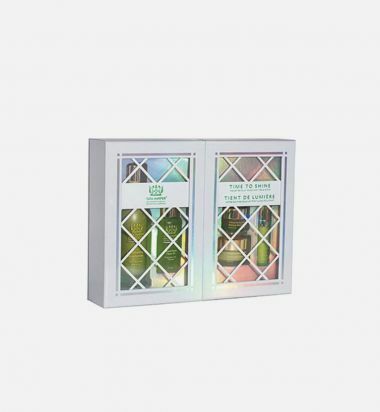 This dry skin recovery kit is the answer to all of your winter woes. Winter Wonders gives you the hydrating essentials needed to transform dry winter skin into hydrated, healthy looking skin. The best selling Reparative Moisturizer is perfectly paired with some of our cold weather staples to give you the ultimate moisture-boosting regimen. Step 1: Massage Nourishing Oil Cleanser onto dry skin. Rinse with warm water. Step 2: Spray Hydrating Floral Essence over the face and neck. Step 3: Massage Rejuvenating serum onto the face and neck. Step 4: Apply Reparative Moisturizer onto the face and neck. Enjoy a complimentary Rejuvenating Hand Cream sample. Apply onto the back of the hands and massage. This is your really radiant regimen, just in time for all your holiday festivities. Time To Shine gives you the illuminating essentials needed to transform a dull winter complexion into glowing, radiant looking skin. The cult favorite Illuminating Moisturizer and Beautifying Face Oil are perfectly paired with some of our glow-giving staples to give you the ultimate radiant regimen. Step 1: Massage Regenerating Cleanser onto dry skin, then apply a thick layer of Resurfacing Mask directly on top. Leave for 15 minutes. Rinse with warm water. Step 2: Apply Beautifying Face Oil onto clean skin and massage. Step 3: Massage Illuminating Moisturizer onto the face and neck. Step 4: Apply Illuminating Eye Crème around the eye area. 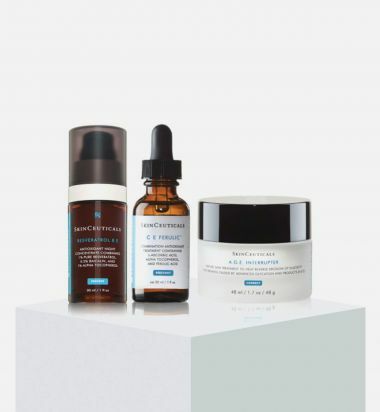 SkinCeuticals Anti-Aging System corrects visible signs of aging as it promotes collagen production and protects skin against future damage. 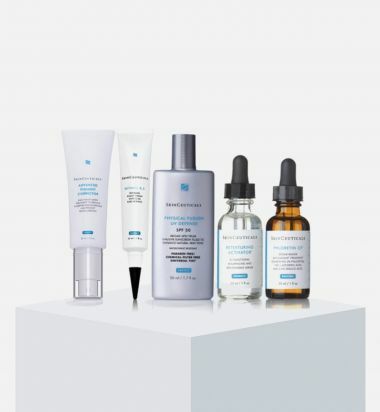 Vitamins C and E, as well as ferulic acid, fight free radicals while peptides restore a youthful complexion. Daily clarifying & exfoliating cleanser. Rich moisturizer for dry skin.